One Team Games at Zalgirio Arena - celebration and new partner! The Round 13 games of the Turkish Airlines EuroLeague were dedicated to One Team, Euroleague Basketball’s social responsibility program, and the exciting meeting between Zalgiris Kaunas and Brose Bamberg game at Zalgirio Arena saw dreams come true for a group of local youngsters. 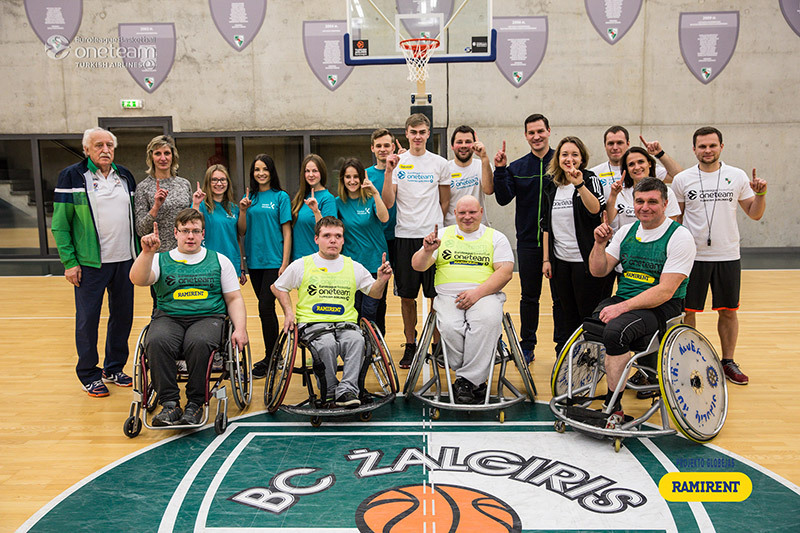 The participants in the Zalgiris Kaunas One Team program – youngsters from the Kaunas regional probation service – had a full day of One Team activities, starting when they gathered at the team’s practice gym in the afternoon of the game for their usual session, which is held every week. 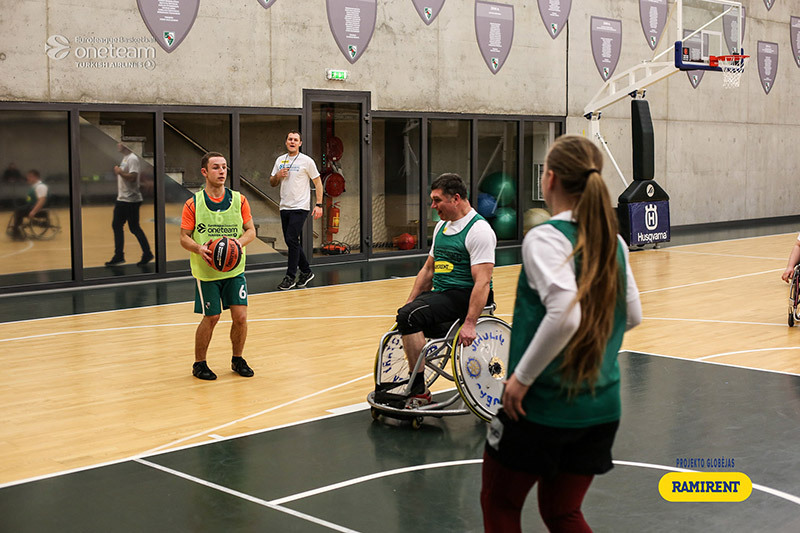 However, this time they had a new opportunity, trying out a different form of the sport: an integrated basketball game alongside players in wheelchairs. Later, the group enjoyed a meal at the SALA restaurant and started to look forward to the EuroLeague game between Zalgiris and Brose, which saw young One Team participants and Special Olympics athletes invited onto the court and introduced to the Zalgirio Arena crowd just before tip-off. During the halftime interval, the One Team participants returned to the floor to play a game together with Euroleague Legend Ramunas Siskauskas, who was also happy to join the club on this One Team date celebration and also eager to congratulate Zalgiris for being named the winner of last season’s inaugural Best One Team Program Award. 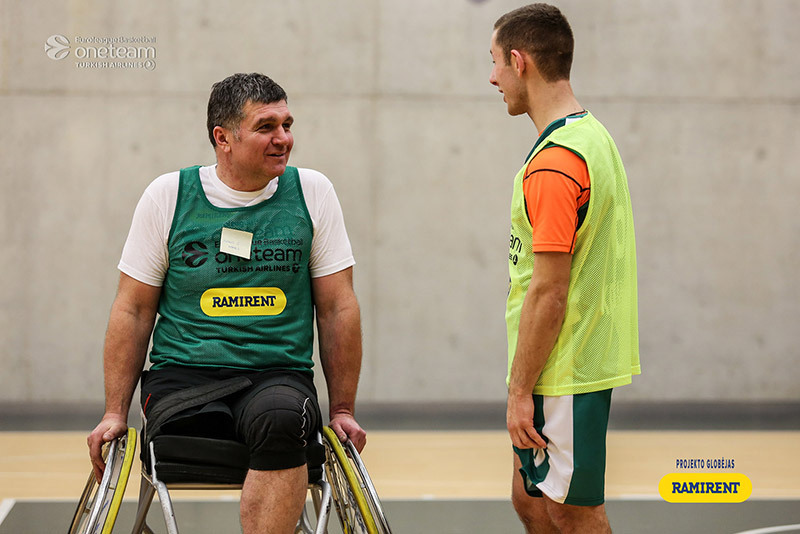 Zalgiris Kaunas has been running its One Team program since 2013, and the success of its work is evident in a new collaboration with a sponsor for its One Team activities, Ramirent. A company which provides a broad product portfolio of high quality and unmanned reliable rental equipment in 10 countries in Northern, Central and Eastern Europe, Ramirent also strongly supports socially responsible initiatives and has been proud to partner with Zalgiris this season.